There are more comics than ever it seems, and what that means for comic fans is it can sometimes be harder to separate the good from the bad, the ones you should buy from the ones you shouldn’t. It’s a terrifying prospect, and one that can overwhelm anyone from savvy veterans or first timers off the street. That’s what The Deep Pull is here for. It’s a weekly guide to the most intriguing comics of the week, and in particular, the ones that are coming home with me. Whether you’re just looking for a place to talk about the week’s releases or for recommendations on the latest and greatest comics, you’ve come to the right column on Sktchd. Why Is It Worth a Read? 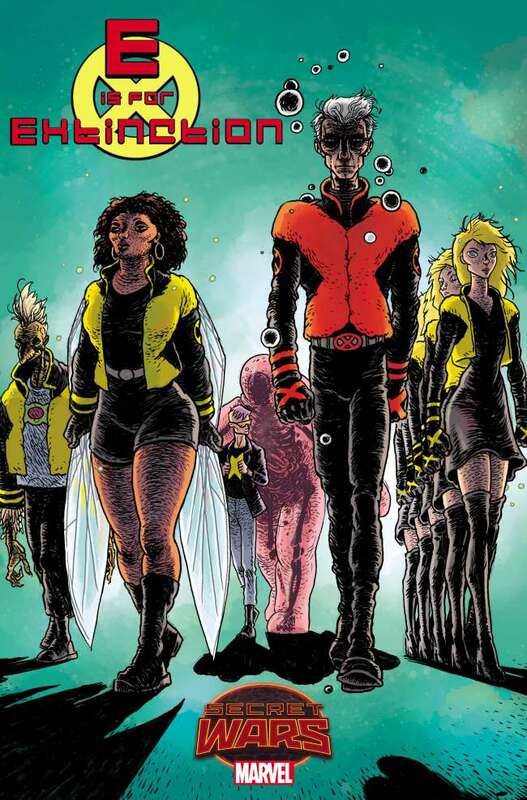 : While a big part of me feels like this is the biggest reach of all of the Secret Wars tie-in books—I just don’t really see externally how it could be related to Battleworld—the idea of revisiting Grant Morrison’s vision of the X-Men with his frequent collaborator Burnham writing the book and Villalobos, an artist who clearly finds New X-Men’s Frank Quitely to be an influences, on art is an attractive idea. I’m really curious as to how it’s going to turn out, and while I’m skeptical of the $4.99 price point—it genuinely may not make it back home with me—it has a lot of promise. Especially because it has Quentin Quire in it. I love me some Quentin Quire. Why Is It Worth a Read? 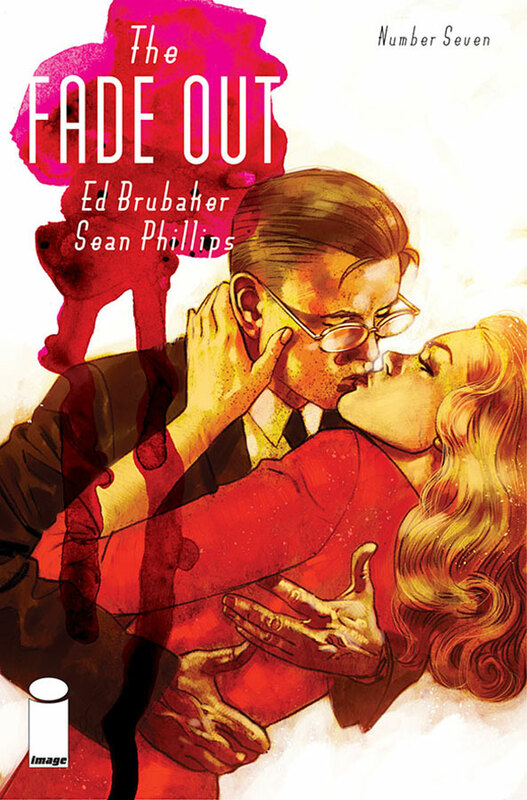 : Writing about a Brubaker and Phillips collaboration is like talking about a sunny day. I’m not saying those two things are similar, as anyone who has read one of their books knows there isn’t anything sunny about them, as even when the ostensible lead is making a love connection with a young starlet, we’re pretty sure what he’s doing will lead to his downfall. What I mean is when something is always good, how do you come up with new ways to compliment it? 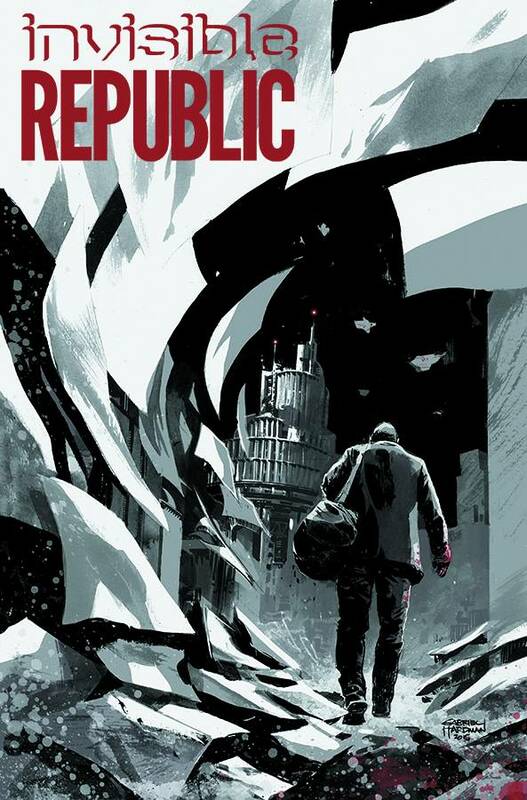 Brubaker and Phillips is arguably the biggest sure shot in comics, as we know they’re going to be good every time. The fact that they can jump from pure noir to pulp action to Cthulhu infused thrillers to crime stories built around the film industry just ensures we never know what to expect from them. Why Is It Worth a Read? : This comic is odd for one from Marvel. 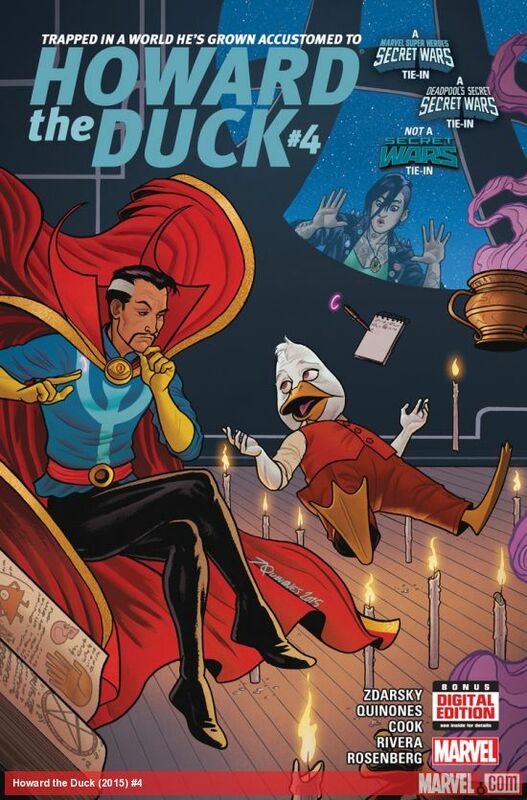 Granted, that is to be expected from one written by Zdarsky, the clown prince of comics (I mean that with affection), and one starring Howard the Duck, but it is still odd. However, it is also very good. Zdarsky brings a ton of humor to the book, naturally, but he’s also made Howard and his stories a very winning combination, and Quinones is a perfect partner-in-crime, accentuating the humor while also bringing a real gift for storytelling to the table. 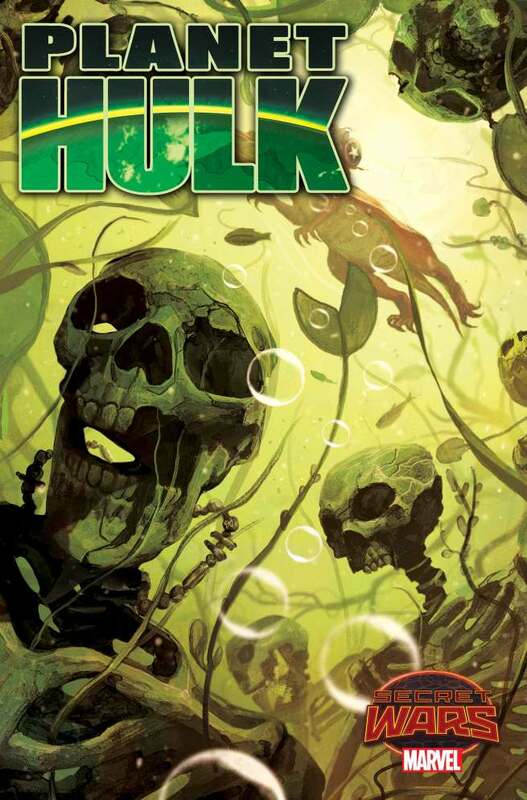 Like some of Marvel’s other best titles right now, it’s not a typical Marvel book, but it’s all the better for that. Why Is It Worth a Read? : So far, this has been my favorite of all of the Secret Wars tie-ins. The biggest part of that has been Weaver’s legitimately unbelievable art—including him coloring his own work, which has been spectacular—as he has brought both the small scenes of the main family in the story and the Annihilation Wave to life with equal aplomb. However, Weaver and Duggan’s story is great as well, and the story of a family ruined by war and potentially saved by one of the greatest forces in Marvel’s history is an inviting and surprisingly personal one. This is a very surprising take on a book with this title, but it is a great one. I’m very much looking forward to seeing where it goes from here. Why Is It Worth a Read? 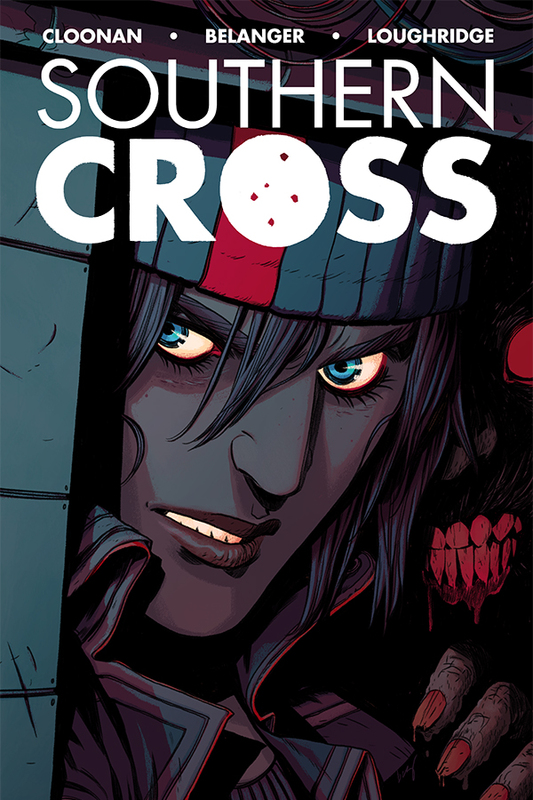 : This is a book that I’m heavily considering switching to trades on. It’s not because it’s bad—if it was that, I’d just drop it—but because it’s a book that feels a bit tougher to follow issue to issue. That said, it’s a dense, fascinating world that Hardman and Bechko have developed, and I really love seeing how they use the different times in the story to build it. Truly, this is a unique and well-crafted book, and one that exists as a perfect vehicle for Hardman’s moody, realistic feeling art. It’s not to be overlooked in the mass of recent sci-fi titles from Image, even if it might be something that eventually works better as a book I read in collections. Why Is It Worth a Read? : I love this book. It’s super weird and very quirky and feels infused with Zdarsky rather than being written by him, but what comes out of that is an inventive and odd comic that I don’t really know what to expect from issue to issue. As you may have noticed, that is something that appeals to me as a reader. Plus, Kagan McLeod is flat out one of the best artists in comics, and it’s clear that he and Zdarsky work well together based off how moments both big and small crush when they come. 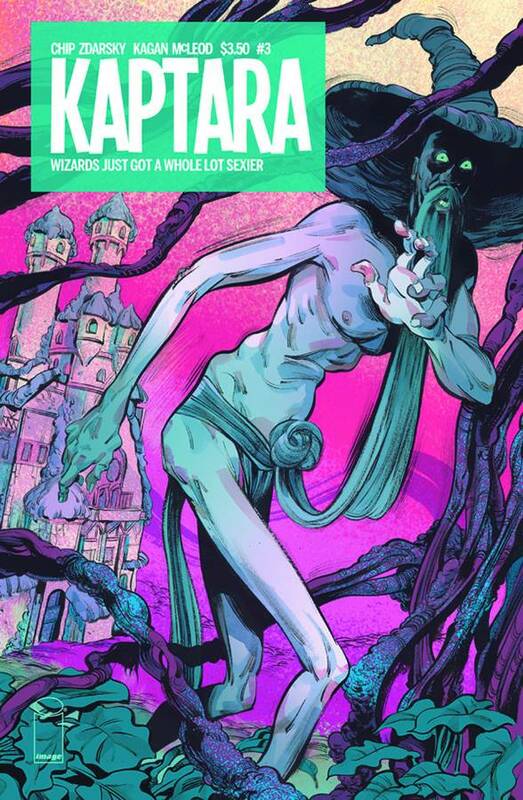 If you haven’t yet, I’d dig into the world of Kaptara, especially if you prefer your Zdarsky straight up, no filter, and your comics with exceptional art. Why Is It Worth a Read? : Captain America riding Devil Dinosaur to kill a bunch of Hulks. 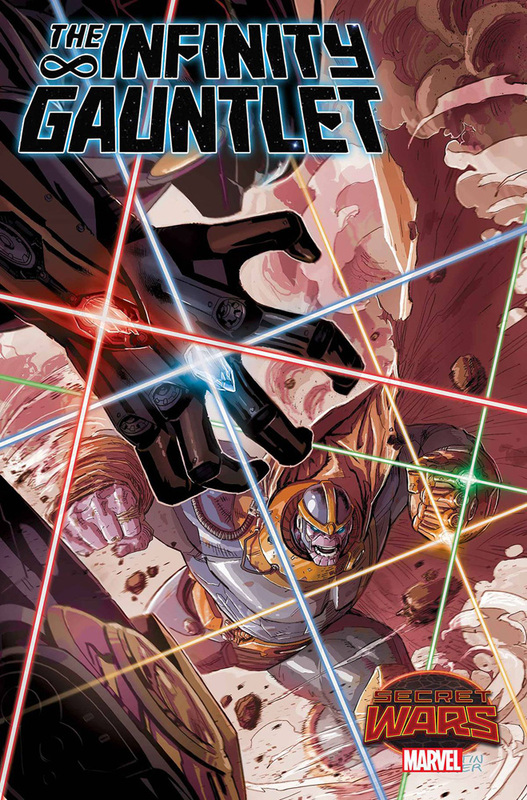 It seems genuinely silly to suggest that you would need any other reason to read a comic, but Humphries and Laming have made a genuinely entertaining comic here that ties in to Secret Wars itself in very obvious ways. I don’t have any clue how it will play out from here, but it’s already given me Steve Rogers demanding his dinosaur to the God King of Battleworld, and by god, that was glorious. Everything else will be gravy. And I love me some gravy. Why Is It Worth a Read? : There’s just something about this book that is hard to explain. Some underlying element that makes it deeply fascinating but also weirdly creepy. Like there’s an ever present sense of dread building to the story that everyone is aware of but no one talks about. It reminds me to a degree of the tone and feel of the stories in Cloonan’s webcomics, but instead of a more fantastical angle, the sci-fi angle gives it the ominous feel that some of the absolute best space stories have. Belanger’s art does a lot for it, giving it both a sense of grit and wonder that few artists could give it. This is a winner, for sure, and I like how they’re taking a page from Lazarus to a degree and not just telling the story within the actual comic, but in the pages outside the actual story. It adds a lot and gives the monthly buyer an added benefit. Why Is It Worth a Read? : When the Eisner Awards were announced this year, I feel like a lot of people were confused by The Walking Dead earning a nod for Best Continuing Series. That thing? Kirkman went Hollywood and now his comics are suffering, right? Well…no. Not exactly. 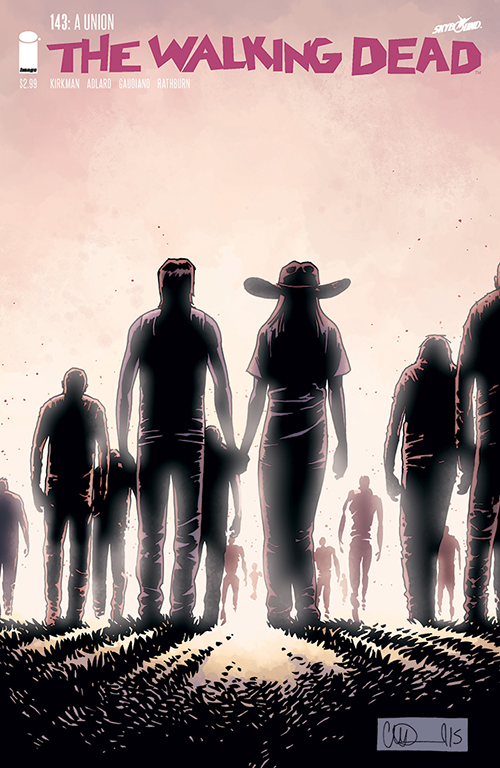 In fact, post All Out War, the Walking Dead’s equivalent of an event comic arc, this comic has been as good as ever, infused with an energy and a new sense of purpose in its status quo that it has sorely need for a long time. Adlard’s the metronome of the book—we always know what we’re going to get from him, and it’s comic storytelling gold—but Kirkman’s been dropping big ideas and small character moments right and left that have made this every bit the apex level soap opera it was in the past. If you gave up on this book, I recommend getting back in. It’s doing wonderful things again, even as it rips our hearts out of our chests. Why Is It Worth a Read? : I was 8 years old in 1992. Towards the end of that year, I came across a new X-Men animated series on Fox, and it was love at first viewing of the credits sequence (still got it, too). That changed me as a kid, as from then on I was like, “I need more of these X-People in my life.” That was right at the time when the X-Cutioner’s Song event changed things forever in the X-Books, and by god, I was hooked. It was spectacular and I wanted more. Twenty three years later, thanks to Secret Wars, Bowers, Sims and Koblish, I am getting just that. 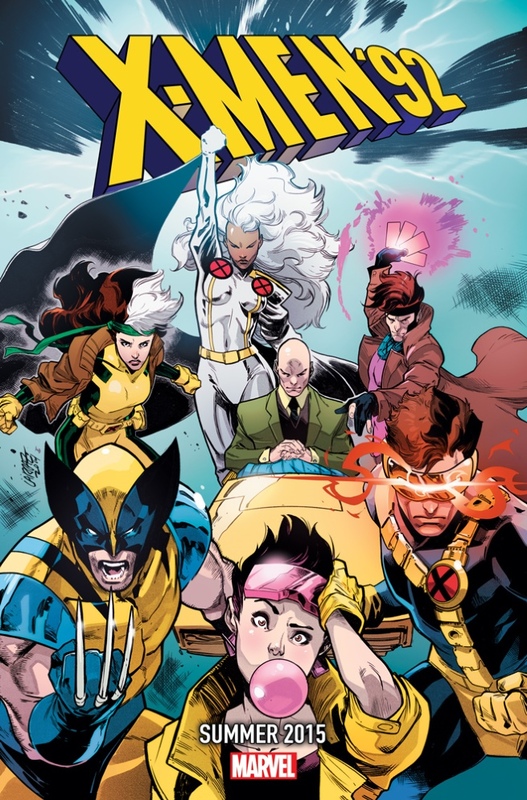 I’m not going to say that was the best time ever for X-Men comics, but I will say that for me and for many fans out there, that was a firebrand moment. Knowing the team who makes it, I have no doubt we could see greatness and a lot of fun out of this book. I’m excited to find out if I’m right (even if I could already buy it digitally, I’ll be honest, I’m still a print guy mostly).